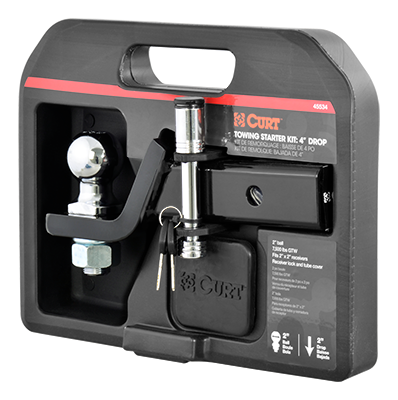 CURT towing starter kits include the essential accessories needed to equip your receiver hitch for towing. All kits include a ball mount, a pre-attached trailer ball and a hitch pin or lock. Some kits also include a hitch tube cover and convenient carrying case.